Many readers of this site know my love/hate relationship with Taco Bell. Everything on their menu is good if not great, but at the same time, makes me go to the bathroom like no other. Saw the commercial for this new burrito and decided to give it a quick try. Its ok. There is more rice than meat in it, the fritos you can barely notice. So the crunch part of it is kinda gone. Of course if you dine in, you might get it, because if you get it to go by the time you get home to eat it, the fritos have gotten a bit soggy. 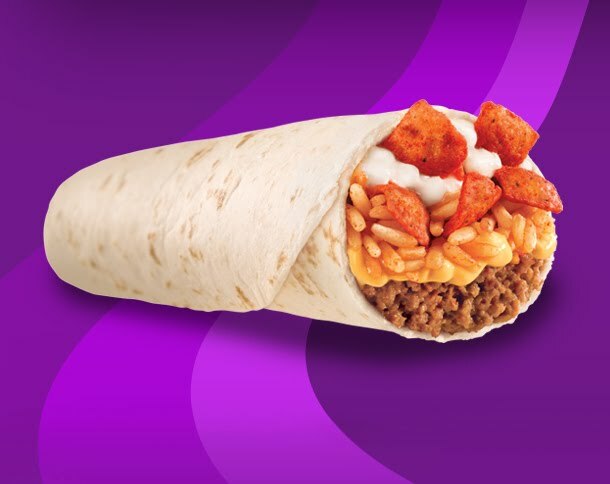 I don't think I'll ever get one of these burritos again. Just did nothing for me. No real spice to it, no crunch, just tasted like mush. Pass on this Taco Bell fans.